Samsung had applied to enhanced charging algorithm to latest software version, if you has used unapproved charger or cable while charging your S8/S8+ devices, fast charging can be not working well or you may feel charging time takes long than before depending on your charging conditions. First, we recommend to check whether you connected Samsung-approved charger to your device properly. Connecting the charger improperly may cause serious damage to the device and fast charging does not work as well. And if any foreign materials were inserted into device’s multipurpose jack, fast charging does not also work normally to prevent unexpected device damage during charging. 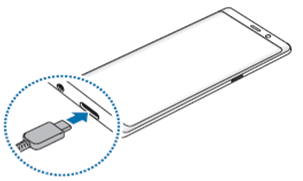 If fast charging does not work or charging time takes long even though you used Samsung-approved charger and cable to your device properly, please visit a Samsung Service Centre with S8/S8+ device, charger and cable together to check them.